Did someone say it’s almost spring?! Seeing this little guy reminds me that spring is not far off, though it’s hard to imagine, since eighty percent of our farm is still under several inches of snow! We are so far behind here that I wonder how we’ll get everything accomplished in our already reduced New England growing season! We should be in the spring thaw, knee deep mud stage, but I believe that is still a couple of weeks off! We should be seeing shoots of garlic stretching up through the straw mulch! We should be seeing tulip and crocus sprouts pushing through the ground – and we can’t even see the ground in many places! We should be thinking about lambing and shearing, but we can’t even easily round up the flock for basic hoof trimming and vaccinating! We should be thinking about planting peas on St. Patrick’s Day tomorrow, not about whether we’ll be getting more snow! Heck – we haven’t even taken the Christmas wreath off the barn! But alas, this is what God has dealt us this year! But little by little there are more bare patches in the yard. Slowly the ground is thawing and will soon allow the melted snow to work its way in. The sun is warm and welcomed by us all, and even more appreciated than usual after this long, cruel winter. It was a mixed blessing that our ewes were not bred for this year. We have had a two year hiatus because my father’s health had declined and, as an only child, I needed to/wanted to be available to my parents whenever I could be – I knew I couldn’t do that if I was in the midst of our two week stint of sheep midwifery. So the ewes had a two year, care free sabbatical, and our rams became best buddies, lamenting their two year period of unemployment. My beloved father lost his long battle with cancer last month, and we all miss him dearly. He suffered greatly, and we trust that he is no longer suffering and has, please God, reached his eternal reward. We hope that he will watch over our family and flock as we ramp up our sheep breeding operation this fall. We are watching our fellow shepherding families enjoy their new arrivals as Icelandic lambing season is off to a start across the country, and we are starting to get excited for the arrival of lots of lambs here next spring! We’ve added an awesome set of books to our repertoire – shepherdess Laura Lawson’s Managing your Ewe and her book on Lambing Problems. As veterinarians, we know our limitations and truly value the knowledge of seasoned shepherds sharing their experiences! We are also excited at the prospect of becoming tech savvy and adding a wireless camera in our lambing pen so that we can keep an eye on our ewes from wherever we are – even if it’s from our warm bed, trying to catch some sleep between lambings! 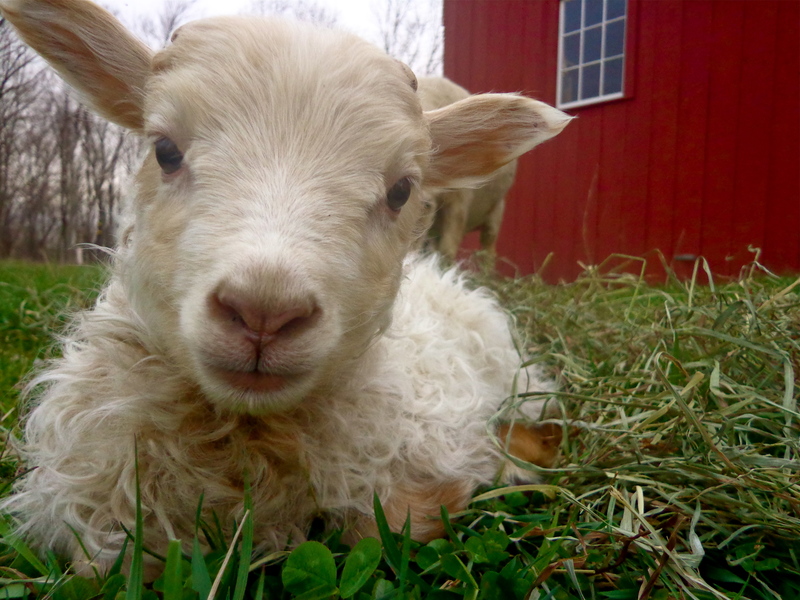 We are excited that we will again be able to offer our lambs for sale next year and hope to see more of our animals on farms throughout New England! We love meeting budding new shepherds and shepherdesses who share our love for this wonderful animal! 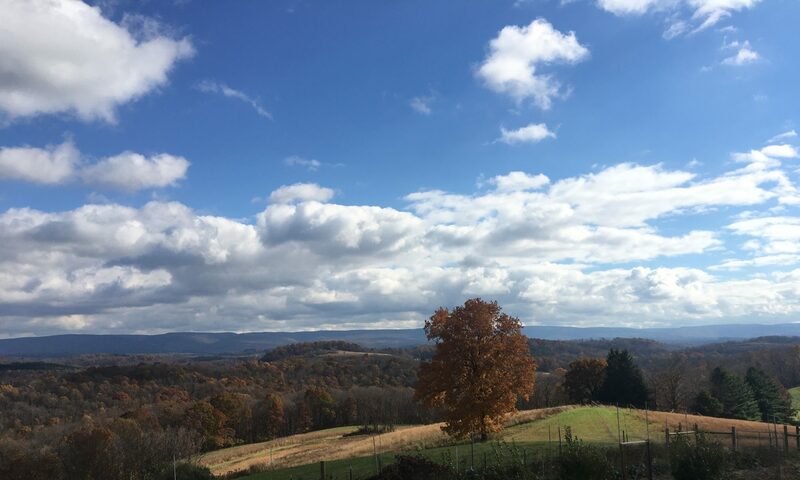 We are glad that we took this break from breeding to share this special time with my father over the past couple of years, and we now feel ready to step back up in our farming adventure here at Morning Star Meadows Farm! We sure hope you’ll join us! 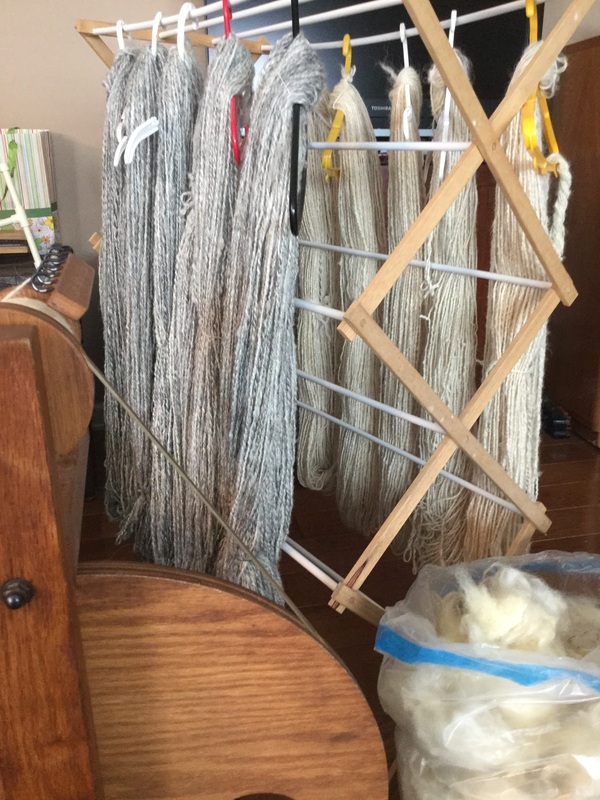 The “fruits” of hours of autumn and winter spinning…Matilda and Freya’s fall fleeces are spun!